Christmas wreath on a new grave at Arlington National Cemetery. “I am so proud to be an American on this day… Glen is proud. Glen is honored. Glen is home.” I reread these words written by Kate Quigley, Glen Doherty’s sister. 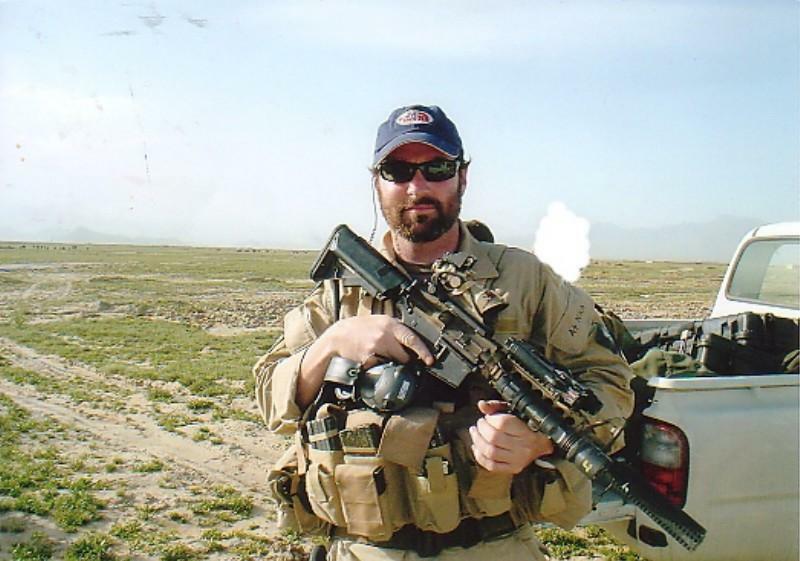 Most Americans are familiar with Glen; the 42-year old United States Navy SEAL killed in the September 11 Salafi-Jihadist assaults on the United States Consulate in Benghazi, Libya. Kate forwarded this letter to family and friends following a solemn ceremony at Andrews Air Force Base, which honored the lives of her brother, Ambassador J. Christopher Stevens, Sean Smith, and Tyrone Woods. My cousin Glenn e-mailed me this letter as he and Glen Doherty were close high school friends in Winchester, Massachusetts. As many Americans will fret about their shopping list or decorating their home during the holidays, we must pause and think about Kate, and thousands of other sisters, wives and daughters “left behind” by their loved ones who died fighting for our country and our freedoms. For these women, these special days are no longer holidays, they are, as I call them, “Holeydays” – there are holes in their hearts as they welcome relatives into their home or place a home-cooked meal on the table. They are thrust into holiday traditions as the family matriarch, despite their feelings of shock, loneliness, confusion, and sadness. Further, many surviving women can’t afford to buy traditional holiday dinners for their families. How will they show their children the loss of their father was worth the sacrifice? How will they, as President Obama stated, “…preserve the legacies of our fallen”? We must support these women in their struggle to carry on and show them our gratitude for the personal sacrifices they made in supporting their loved ones’ desires to defend the United States of America. Most of these women understood the unthinkable possibility: their loved does not return to the U.S. alive. Despite this possibility, they carried on, sometimes raising a family alone. To all women blessed to have our husbands, brothers, fathers and sons alive this holiday season: please take time to help inspire a woman who lost the most important person in her life. Help her to persevere even though it’s most difficult during holiday gatherings. Relay a prayer, give a gift or volunteer at a local outreach program, to show your appreciation for her sacrifice and to honor the men who meant so much to them – the men who dedicated their lives to make ours richer. If you’re among the women suffering from the loss of a husband, son or father, you may find added comfort and support from organizations that work to help women like you. 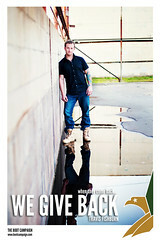 Wounded Wear (www.woundedwear.org), one of several organizations supported by Boot Campaign, provides for families of fallen service members. 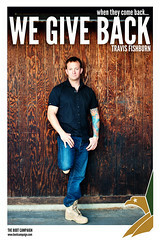 Boot Campaign also supports Special Ops Survivors (www.specialopssurvivors.org), an organization dedicated to serving needs of surviving spouses. In my area, Operation Homefront – California (www.operationhomefront.net) provides holiday meals to military families. 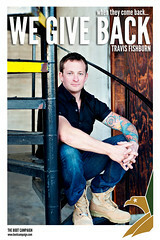 And by the way, Operation Homefront has an ongoing Boot Drive with the Boot Campaign! That means for boot purchases made in the Boot Campaign’s online store that acknowledges Operation Homefront, the organization will receive $25 of the proceeds from the sale of boots from the Boot Campaign. This holiday season, let’s remind surviving spouses, daughters and sisters, like Kate Quigley, we’re proud of them. Although Holeydays are upon these women, it’s my hope each will smile at some point during the season, realizing they are among the most treasured women in our country. 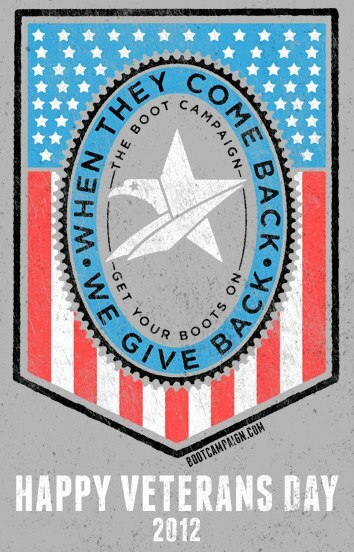 For more ideas on ways you can help visit bootcampaign.com. “For such arrangements and covenants we are willing to fight and to continue to fight until they are achieved; but only because we wish the right to prevail and desire a just and stable peace….” – President Woodrow Wilson’s Fourteen Points (January 8, 1918). There are 23.2 million military veterans in the United States today (www.History.com). minds of our veterans today. or a military service member proclaim his or her desire to enter combat for our country. Woodrow Wilson signed the armistice. comfort and families, to ensure freedoms that all Americans enjoy today. them my appreciation for their service. continue to face upon returning home. Recently searching for voting information, I googled my way to an article written my Mathew Clark for the American Center for Law & Justice (ACLJ). According to Mr. Clark’s article, absentee ballot requests from military personnel declined by about 70% since 2008. Disturbed by this fact, I read on to discover that although Congress passed The Military and Overseas Voter Empowerment Act (MOVE Act) in 2009 – a law designed to help overseas-based military citizens vote in U.S. elections and to streamline the military absentee ballot process – only 15 states complied with the law (Wikipedia – September 7, 2012). accessibility to all American citizens, particularly those of our military service members. Throughout history, hundreds of thousands of military service members sacrificed their lives to protect our constitutional rights. By exercising our right to vote, we give purpose to those lives lost and sacrifices made by our service men and women every day, at home and abroad, in the name of democracy. Our votes not only influence governmental reform and progress; our votes serve to prevent threats against our liberty – an American value for which our Armed Forces fought and died for over the past 200 years. There’s still time for you to vote if you haven’t done so, and there’s still time to make sure our military members cast their ballots. If you know a military-serving family member or friend challenged to get to a polling booth, please offer to help them. When you do that, you assist those who protect your right to vote, with their right to vote as well. Why do you vote? What will you do today to help a military service member vote? If you’re a military service member, was it challenging for you to vote this year? 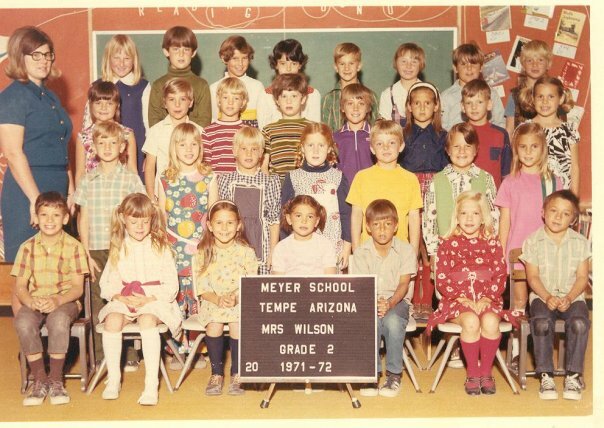 Lately I’ve been keenly interested in how others celebrate milestones. This may be due to some record ones coming up in my family in the next six months. My parents celebrate 60 years of marriage at Thanksgiving. And my husband will celebrate a stellar birthday in 2013. I’m still trying to figure out how to top the last decade party we threw for him; which was totally nerdy and fun just like him. Speaking of birthdays, one of our fans is celebrating a milestone with a very creative and apropos adventure in mind and agreed to send us updates each month along the way. After witnessing a wounded veteran receiving a mortgage free home at one of our recent events, Michelle Soza realized her freedom cost others something. For her birthday this month her mom gave her a pair of our signature combat boots. She decided to spend her last year of her 20’s with the mission to wear boots every day. She knows the project will bring a new perspective about life and liberty as she approaches her next milestone on October 24, 2013. We will check in with her each month as she journals her experiences. And to get things started, here are Michelle’s first posts from this week. October 20th: My year in Boots starts October 24, 2012. As I sit here and look at my boots I realize that for so many of our fighting men and women boots just like these are the very last pair of shoes they will ever wear. Every morning they wake up in whatever part of the world they have been asked to go and step into their boots to fight for freedom and the American way. Today in their boots will see and experience things that many of us cannot even begin to imagine. They do this because it is right and necessary. We as Americans have been given so much, and these men and women ensure that we can continue to thrive and enjoy the freedoms so many of us take for granted. Putting on my boots is a way to say “thank you” to our soldiers and their families. Wearing the boots shows that I appreciate all that they do for us and the sacrifices they make. October 24th: Well, I am just a few hours into day one of the year in boots, and already it is generating interest. I talked about it in my online class and was contacted by a fellow student who just happens to be an intern at the Veterans home in Chula Vista. They shared the Boot Campaign website and the “programs we support “page on their Facebook! As you can see, Michelle’s year in boots is off to an interesting, exciting, and unexpected start! Perhaps you have an upcoming milestone where boots may be just the thing to bring fresh perspective and let us know what you’re up to! 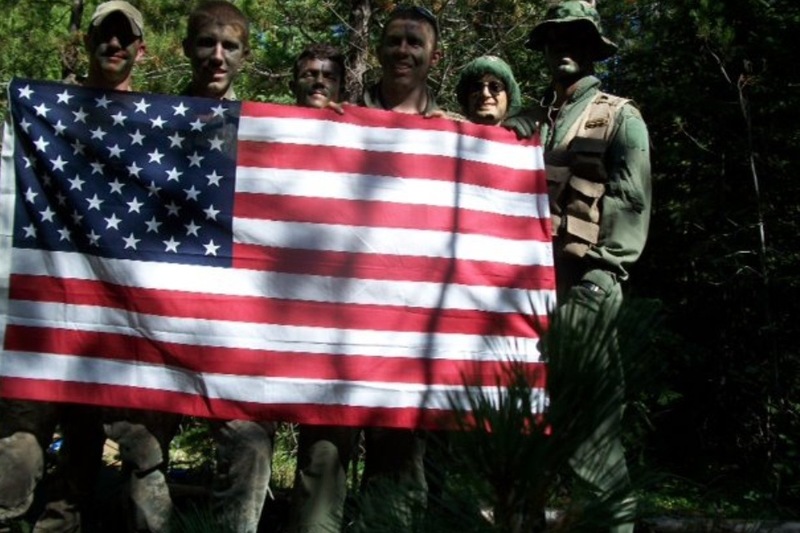 From Boot Girl Myra: Back in early summer I received an email form a “grateful American” who wanted to do more for our troops by volunteering with the Boot Campaign. She went through our online volunteer training series and took the initiative to show up at the Boot Ride in Los Angeles, just to meet the Boot Campaign team. When we parted, I thought to myself “she is the real deal!” Today I have the pleasure of introducing you to Heather Randall, Writer and Communications Strategist for Firefly Communications and our new blog contributor. and speak for organizations and communities I believed in. As I grew older, I became more interested in learning about those who were truly responsible for maintaining liberty for millions of American citizens. endure for our freedom – our liberty. their lives, so that I and millions of American citizens, could live in peace. either, so I had to seek another way to give back. volunteering my writing skills to help. 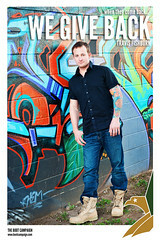 Recipient / Retired Army Specialist Jeremy Smith, Boot Campaign continues to support. from their missions and deployments. together and support those who serve, protect and fight for our liberty. How did you discover Boot Campaign? 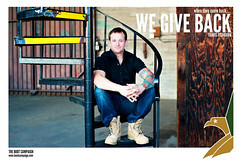 What does Boot Campaign mean to you? We’ll look forward to your thoughts here! 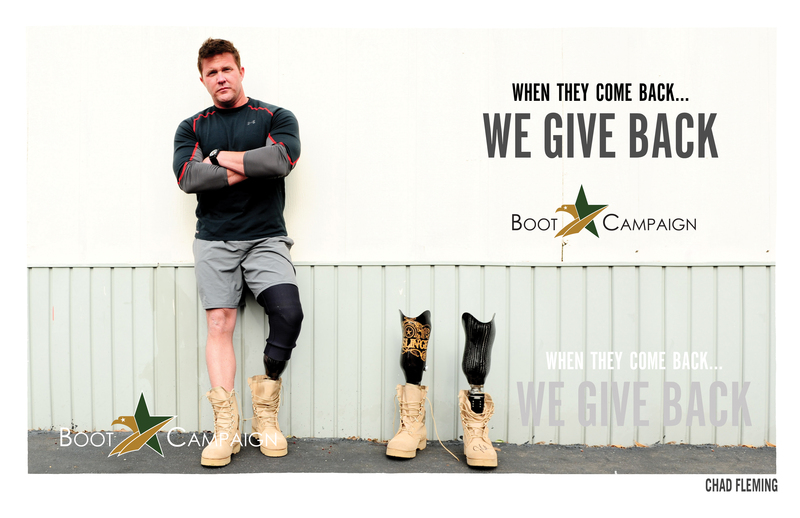 Want to watch a really cool video about the Boot Campaign? Check this out! You have, after all, been given a whole day to reflect, free of charge, compliments of the US government. Memorial Day is a national holiday. So what if you just took one minute to reflect on those whose lives gave you a free day off? August 6, 2011 – 30 US service members KIA logging the largest loss of Navy SEAL life in one operation not even a year ago. Or perhaps you might watch this very interesting visual from CNN. This time-release graph calculates the location in the Middle East where all loss of life since 2002 occurred at the same time showing you where they were from in the US. It only takes a minute, so that would leave you with 23 hours, 59 minutes to enjoy the rest of your Memorial holiday. Heck, do both. Then you’re at 23 hours 58 minutes to clean the grill, take a nap, read the paper and eat some watermelon before cashing in on some great sales. What if you took five minutes to remember those who gave their lives for you? You could learn about a long-forgotten story of young Sr. Airman David Livingston who died on US soil defending his country in a small town of Arkansas. He was on duty at a base where a TITAN II Missle was punctured, sprung a leak and then exploded inside it’s holding chamber. Maybe you could pause for an extra second and remember his sister, Marcia who grew up without her brother but favors him in looks and mannerisms. She took her children to the now-closed site last year to remember their uncle whom they never met. Perhaps, if you are in the movie-going mood on your Memorial holiday take a couple hours in your day and remember those who gave their lives during WWII, defending France, Britain and a host of other nations who needed our help. You could watch a movie like Saving Private Ryan or Pearl Harbor or other films that depict the cost of war. You might pause to reflect on the hard truth that war brings controversy, not everyone agrees, and it isn’t black and white. It’s gray; through and through. There was a time when serving wasn’t a choice like it is today. Maybe you don’t like war movies at all but Good Morning Vietnam has just enough humor with Robin Williams in it, to get you through the difficult message that war is messy, ugly, painful and sometimes, or more appropriate, a lot confusing. It’s especially so when you don’t have a choice to enlist; you go off and do your part only to return home to people who hate you for going. If you really wanted to use your whole day for what it’s cracked up to be, then read a book. Lone Survivor or Service, both by Marcus Luttrell or Outlaw Platoon by Sean Parnell give realistic accounts of war, the cost of freedom while addressing the uncomfortable truths about both sides of the argument. Whatever you do, pay tribute. Even for a second. Someone paid the ultimate price so you can have a Memorial holiday. As you head to your holiday celebrations on your day off, give thanks for your US military who has your back while you party; even though Thanksgiving is still six months away! It’s amazing how an innocent little animated show I was watching with my daughter completely changed my mood from happy to somber. It is a good sort of somber, the kind that made me stop and take accounts. Maybe it will do the same for you too…..
That dialogue between the other toys and the Army men in Toy Story 3 struck me hard. Their exchange sums up something that’s been occurring a lot more often in conversations lately. A growing number of people are asking; with troops coming home from Iraq, what’s the point of the Boot Campaign? As if to say that since our “official” role in Iraq is over, we no longer need to support our military. Two things disturb me about this thinking. First, there are 1.4 million active duty military working daily in 150 countries (including operations still going on in Afghanistan) and stateside. Our military provides humanitarian aid in the name of all Americans (that’s you and me) to starving people in places like Somalia and Sudan. When disaster hits our own nation like the deadly tornadoes last year in Alabama and a Tsunami of millennial proportions last April in Japan, US forces were there to offer a cup of cold water and food to a crushed and shocked nation. If I could thank every service member feeding a starving child or family member displaced by disaster, I would. And I do……….with my boots. Second, it’s never been about war; it is about appreciating the people who choose to serve our country and protect our rights including the right to demonstrate. That is something Egyptians, Tunisians, Libyans, Chinese, Burmese and many other countries don’t have as an inalienable right. As a matter of fact this week Iran cracked down on the population’s social media activity, locking down certain sites linked to the western world for fear of it causing an uprising. These governments don’t allow for free speech, rather, they imprison anyone who dare object. I wear my boots for these, the ones who continue to protect my freedom so I can say what I want, live how I want, pray to whom I want, and so much more. Boot Campaign has always been about thanking those who are the protectors of our independence. As we settle into another year of liberty, 47,266 American men and women (as of December 15th, 2011) are wounded from operations since 2002. If we pull out of supporting them now, who will provide them assistance? In my mind there will never be a day when boots are not necessary. As long as we remain the land of the free and home of the brave, there will be people to thank, with boots ON! Its all about perspective. Do you find some days you could use a fresh perspective? Sometimes a new outlook is blissful and yet at other times difficult. It causes us to stop and take a closer look at ourselves and how we live our lives or maybe see the world. It has even deeper meaning when it forces us to make a change for the better. Today, the Boot Campaign offers a perspective from our friend Char Fontan Westfall. 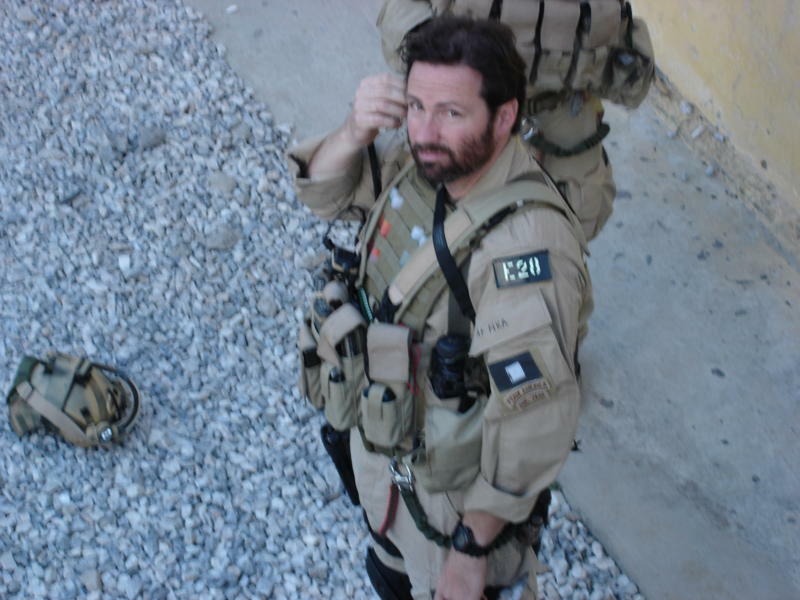 Char’s husband Jacques was one of 19 men who lost his life in Operation Red Wings as described in the book Lone Survivor by Marcus Luttrell. From her vantage point as a widow of a fallen soldier, Char, recounts her thoughts and feelings that first holiday season after the death of her husband. The whole 1st year after losing Jacques was just miserable. I DREADED every day, especially EVERY Holiday. As November came around it was just one bad memory after another. It started with Jacques birthday, November 11, Veteran’s Day, followed by Thanksgiving and Christmas. To be honest, it took everything in me to go out and Christmas shop for my family. It seemed like everywhere I went I was surrounded by signs reminding me that Jacques was gone. I’d catch myself looking at things I knew he would like and then suddenly slapped back into reality. There are no words to describe how much that hole in your heart hurts at this time of year. I can say I’m thankful that my loss wasn’t during the holiday season. Those first days and weeks are difficult to begin with, let alone associating future holidays with such tragic loss. I don’t know how I would have handled seeing gifts I’d already wrapped for him. Although, I did have things in his closet that I purchased while he was gone. At least I didn’t have the extra pain of knowing he wouldn’t be opening the gifts I so excitedly picked out for him. Around this time of year I think most people get pretty wrapped up in their own stress and lives and forget about the wives, husbands, children and families that are trying to “make it” through the Holidays. I find myself constantly thinking of how heavy their hearts must be and if they are even motivated to celebrate this season. In perspective, there are Christmas parties you won’t attend because for one, you don’t want to be there alone, but even more so because you don’t know how you’ll deal with seeing all the “happy couples” along with their stares of pity. Families that have just recently lost their loved one are constantly on my mind. I have an even greater appreciation for the Holidays now. I am still very close with Jacques’ family. There aren’t words to express how much I cherish the fact that they are still such a huge part of my life. I know their hearts still ache from the hole left by the loss of Jacques. They still have the pain of not having him around too. For me, with every passing year the pain eases and I deal with his absence just a little better. My life has turned around though. God blessed me for a second time in my life with another love. We have a child and I’m thankful to get to enjoy the holidays with them. Maybe Char’s birds-eye view is a reminder for you to spend quality time with those you love while you can, and to thank a soldier; perhaps while sitting next to them on an airplane to your holiday destination. Seize the moment, as you never know what they will be required to do on your behalf. When you do that, you honor the families of our servicemen and women around the world, which is a whole new perspective in itself. It would be easy to cap this oil leak, and in the grand scheme of things it would probably cost very little to do. At the time of the ship’s sinking it still contained approximately 1.4 million gallons of oil. 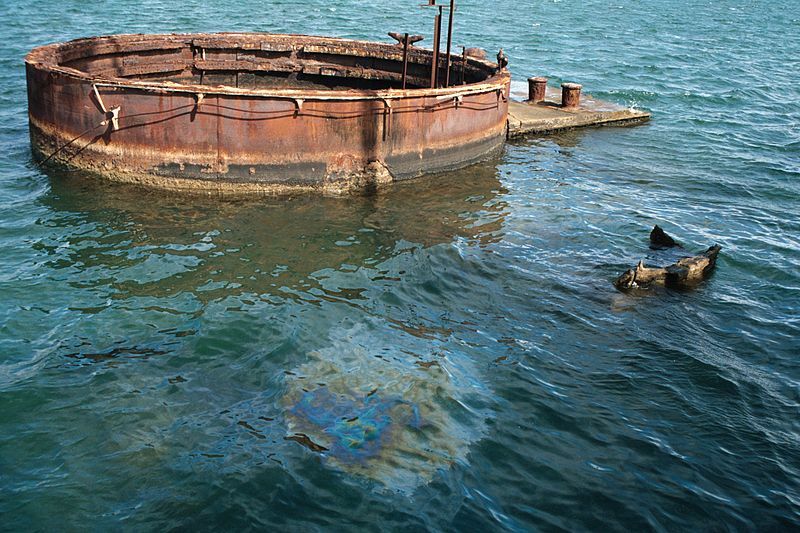 Every day for the last 70 years the USS Arizona leaks approximately a quart and a half of oil (that’s 6 cups) to the surface. It’s estimated there are less than half a million gallons of oil left today, leaking one drop at a time to the top. It isn’t so much that it demands our attention because of an oil spill as much as the symbolic “black tears” of the thousand plus men who are entombed there. Every day their voices rise to the surface begging visitors to take notice of them. Perhaps it’s a cry to never forget what an enemy can do if given the chance. It might pose as a small environmental disaster but who would dare silence the loud, inaudible cry of 1,177 men, whose voices rise to the surface daily? There will come a day when these black tears stop flowing, but not before all those who survived the attack have faded into the abyss. Who will tell their stories then? Time is of the essence for them. Several of the passers-by in the memorial above are some of remaining ship’s 200+ survivors. They go there daily as volunteers just to tell their stories in hopes complete strangers will pick up the torch, when theirs fades, and the black tears flow no more. 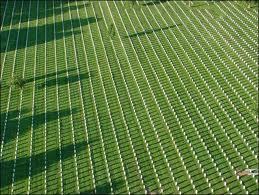 Many choose to be buried with their comrades when they die, asking for their ashes to be spread over the memorial. A request respectfully granted by the National Park Service. 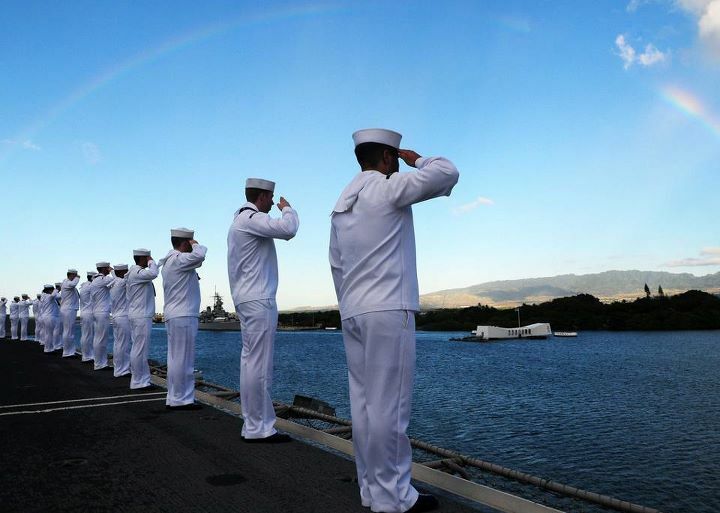 On December 7, 1941, just after 8:00am the Japanese bombed Pearl Harbor. Most history books will tell you the key detail of the Bombing of Pearl Harbor was it ushered the United States into WWII. For the 2,390 Americans who died that day, with nearly half of them serving on the USS Arizona, the most important detail is the “voices” (in the form of a rhythmic oil leak) from 1,177 entombed soldiers rising to the surface daily, shouting in complete silence “Never Forget”. Several of my friends took the November challenge. It’s the daily challenge to post something you’re thankful for during the weeks leading up to Thanksgiving. I’ve been pondering this all month. Instead though, I was challenged not to list one single thing but to list people who, if they weren’t in my life it would be lacking. I looked through my friends on Facebook and relished knowing I am still friends with people I’ve known since kindergarten. I am thankful for David Grace, who pursued his dreams of being a television and movie producer, even with uncertainty of when the next job would materialize. Michelle Olivas’ mom taught me the importance of a perfectly tee-peed (“wrapped” if you live in Texas) house. That was one which the recipient was reticent to take down for the art-form that it was! My date to homecoming my sophomore year, Steve Keough taught me that guys can do the splits to DEVO’s song “WHIP IT” with such precision, it can stop a dance mid-stream with people shouting “do that again”. I think of my friend Shari Wilson who, for no other reason than we love to laugh, has sent me gifts of laughter for over 25 years. Laughter is the salve that heals deep wounds. If she weren’t around I’d probably be dead. My parents, are the kind of people everyone needs in their life. Married for 59 years, you can still catch them holding hands. I love it that my dad still tells my mom she’s beautiful. Scrolling through our Heroes album, I look at Chad Flemings’s photo and become thankful for him, though we’ve only met in passing. When so much about this world is about appearances, his ability to make prosthetic legs something more of an in-your-face challenge motivates me. It’s as if he’s saying “just TRY to beat me”. I am thankful for each of the Boot Girls; for their love of country, so much so they will work inordinate amounts of time without pay to inspire others to appreciate their freedom. Today I’m especially thankful for BG Mariae’s parents. Their chilling escape from Vietnam in 1975 with little more than the hope of living free was worth risking their lives. My life would be lacking without some Mariae flair. For the next few days as you travel, stuff yourself with every possible deliciousness, shop beyond the dropping stage and manage your things, take time to think of people in your life who, without them, would leave you lacking. It’s not the “what” I am thankful for today but the “who”. Do me a favor, tell me WHO you are thankful for, and if you have opportunity, tell them as well!